Recently, Bethesda released new footage for their latest add-on to popular title, The Elder Scrolls V Skyrim! 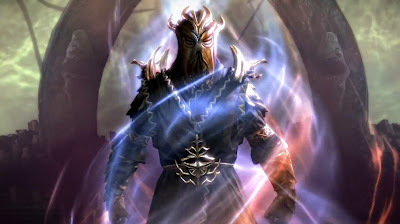 The latest add-on called "Dragonborn" tells of a hero known as the Dragonborn, a warrior with the body of a mortal and soul of a dragon, whose destiny it is to destroy the evil dragon Alduin. Also judging by the trailer, it looks like you get to ride dragons too which is pretty cool. The add-on is scheduled to be released on Xbox LIVE, Decvember 4th.